NITECORE P25 SMILODON OFFICIALLY LAUNCHED! The Nitecore P25 is a truly innovative, purpose-designed flashlight featuring two integrated Picatinny connectors, making it incredibly easy to install on a firearm or use as an intermediary device for mounting a huge variety of compatible accessories. 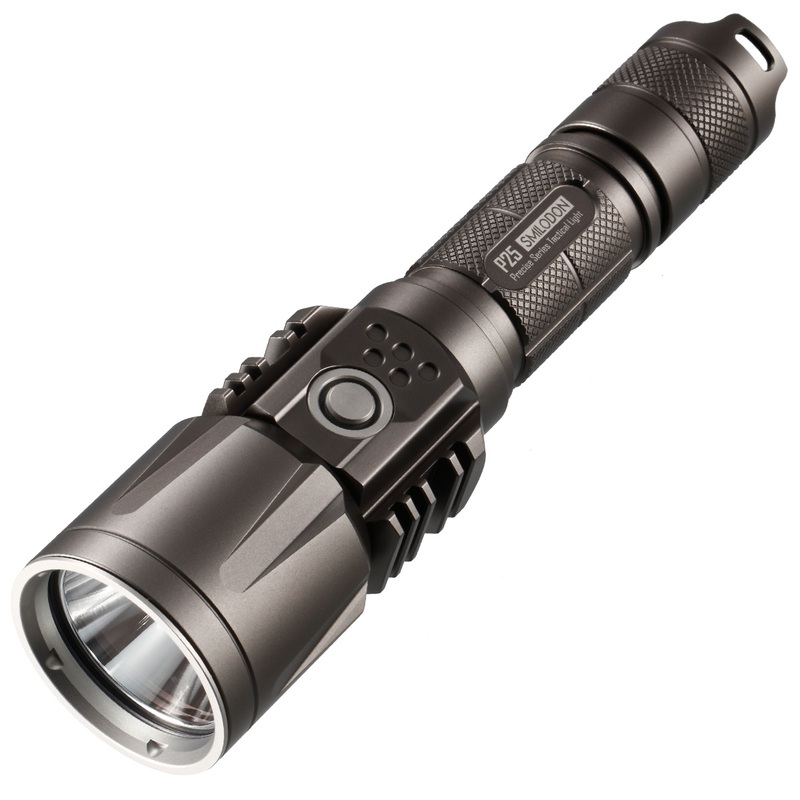 Eight rapidly switchable brightness levels and modes to select from, a patented single button, two-stage interface provides easy access to all modes and brightness levels, including a blazingly bright turbo mode of 860 lumens (ANSI FL1) with a exceptionally long run time of up to 325 hours. With unique gun-mounting functionality and a highly versatile feature set, the Nitecore P25 is the ultimate lighting tool for professional hunters and tactical users. You can buy the NITECORE P25 Smilodon just now in our online store el-top.com with lowest price $87.59!